Electric aircraft will race from London to Darwin next year to mark the centenary of the Great Air Race. The race and a series of other events in the Top End will celebrate 100 years since Captain Ross Smith, Lieutenant Keith Smith and Sergeants Wally Shiers and Jim Bennett won the first event. 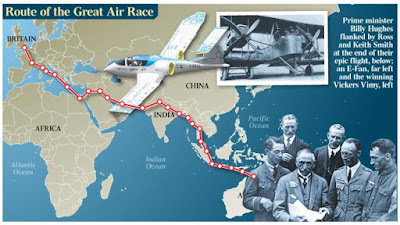 "The 1919 Great Air Race captured the imagination of people across the globe," Northern Territory Chief Minister Michael Gunner said on Saturday. "Under the command of Captain Ross Smith, the journey has been described as the flight that changed the world and paved the way for national and international air travel." The 2019 event, to be known as the Centenary E-Race, will start in London late next year and stop over in at least 15 countries before making its way to Darwin. It is hoped that world-leading technology companies including Tesla, NASA, Airbus, Virgin and Boeing will enter in celebration of a century of aviation innovation and achievement by engineers, designers and aircraft constructors. The advantages of electric aircraft are huge, however, achieving long distance flight in an electric aircraft is still the greatest challenge. There are currently three approaches to tackling this problem, battery electric, hydrogen fuel-cell electric, and hybrid combustion-engine electric. Captain Smith and his colleagues flew a Vickers Vimy Biplane more than 18,000km in 28 days in 1919, with the race acting as a catalyst for international travel and improved communications. John Storey, an expert in battery and solar technology, said the 2019 race would fast-track renewable flight technology by years and contribute to improving the e-aviation industry. 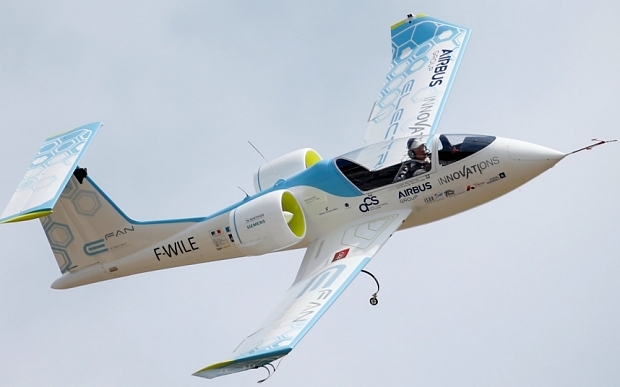 "The event is technically feasible, however, completing the route in an electric aircraft is by no means a foregone conclusion," Professor Storey said. "That makes 2019 the right time to stage it. In 2009 it would have been impossible, in 2029 it will be routine." The program of celebrations in Darwin will include an air show, centenary ball, commemorative ceremonies and education programs for schools. The Ross Smith Memorial at Fannie Bay will also undergo significant conservation work.